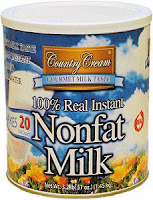 For June we are offering our Country Cream Milk. The cut off date for this order is June 4th. So send in your orders and checks to take advantage of these great meals. If you would like to get a sample of please email us and we can get you a quote for shipping and handling (about $5 give or take) and we will mail you one. WE CAN NOW ACCEPT YOUR CHECK PAYMENT ONLINE!!!! 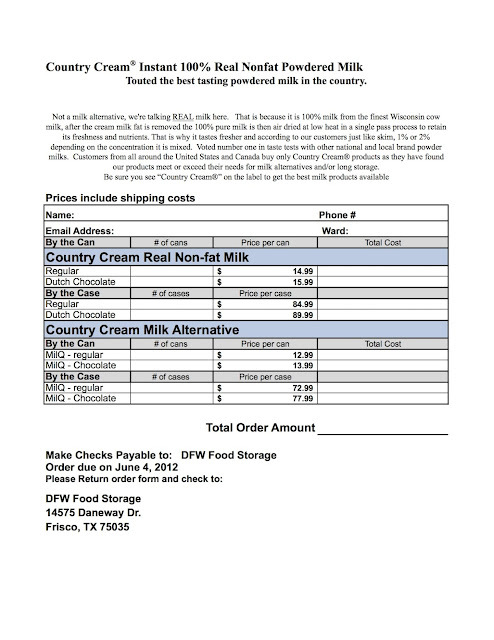 now you can email us your order and process your check payment online. To do so, please click on the link below. Save yourself a stamp.